Enka singer Tsukasa Mogamigawa, drummer of visual kei band THE MICRO HEAD 4N'S, will release a single later this month. 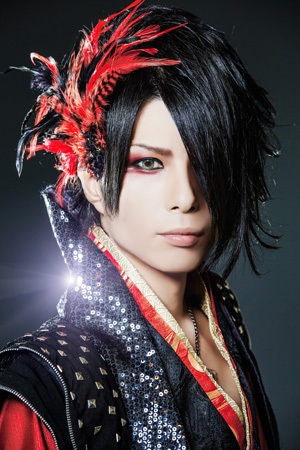 Tsukasa, originally a member of D'espairRay, made his solo debut two years ago. One year ago he went major and now he's gearing up to release yet another single. The new single "Hitohira no Sakura (ひとひらの桜)" will be released on February 23rd. Two different types will be available for purchase, one limited edition and one regular edition.